Getting paid for consulting work can sometimes be a challenge. And it often seems like the largest clients are the slowest to pay. If you don't put them on the invoice, they'll assume. And that might mean 60 days, 90 days, or longer! Even if you have your terms, put the specific due date for that particular invoice somewhere large and visible. 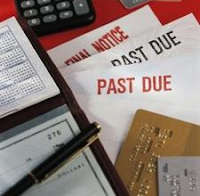 Make sure you have a stated penalty for late payments (usually 1-2%/month). And if they're consistently late -- charge it! Sometimes invoices get misplaced or misfiled. Make sure you track when they're due and remind your clients about upcoming invoices and the penalties they'll face if not paid on time. Make sure your terms, penalties, and all your invoicing policies are listed in the contract your client signs at the beginning of a job. #3 has always not sat well with me. I agree it should be in there, but its influence I believe is minor in most cases. Another one that is really important I find, is getting a deposit up front, even if it for a small amount. It shows committement. Doesn't really belong on this list though. I've personally found that enforcing a penalty can be the only way to change a consistently late client's payment habits. But I agree that you need to give them a reasonable chance.